All files, such as quotes, delivery slips, invoices, contracts or business letters, need an audit-proof archiving solution. The solution must also be in accordance with GoBD, regardless of whether you keep them on paper, or in digital form as files or emails. In addition, you should also safely archive information from design and production, such as BoM, CAD drawings, machine control data, and marketing collateral, such as photos and videos. Because archiving your data in accordance with relevant requirements will save your company from the costs that arise from searches, optimizes workflow and ultimately increases productivity. SEAL Systems can help your company with efficient document management in the generation of archivable file formats and offers useful additional functions for archiving software. Solutions should be able to keyword your data as partial components in document management (DMS) as automatically as possible. 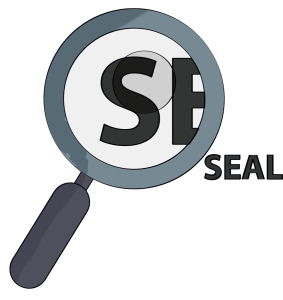 SEAL Systems meets this requirement: We prepare your documents for you so that metadata can be gathered from their content. Searchable texts in the data are stored during processing or even determined afterwards, as in the case of scans, by way of OCR. With the help of the integrated search function, the archiving software can find documents through keywords or a full-text search. A comprehensive authorizations system controls and records who may read or edit which documents. Documents which were taken from the archive system are protected against unauthorized access. Another important criterion for audit safety is legally compliant auditability. If archived documents are edited, the archiving software must ensure that this is traceable with corresponding document versions. The archiving software must also be able to receive the documents to be archived from different input channels. 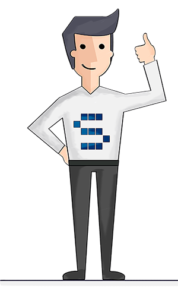 A good archiving software can not only handle scanned paper documents or electronically generated PDFs, it can also assign emails and­ – what’s important – their attachments, automatically to the correct electronic files. Finally, an archiving software presents the opportunity to edit electronic files. Electronic files are ideal for clearly bundling all information for customers, vendors, employees or even projects into one place. In addition, this information bundling assists with the transaction processing.